The comprehensive and practical approach of this functional CV gives the document an unusual twist. 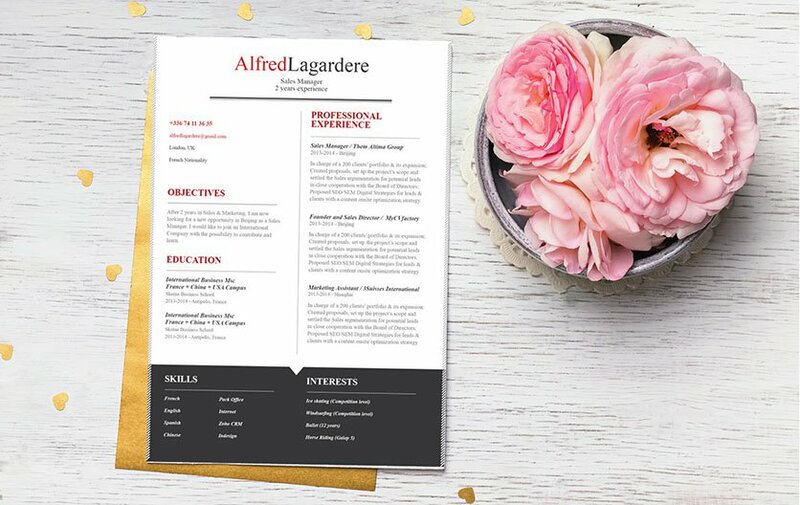 CV template to download "Generous"
The Generous resume is all you need to get that dream job! It has a practical format that showcases all your qualifications in clear and comprehensive manner. With its simplistic modern design this resume is perfect for any kind of job you're applying to. 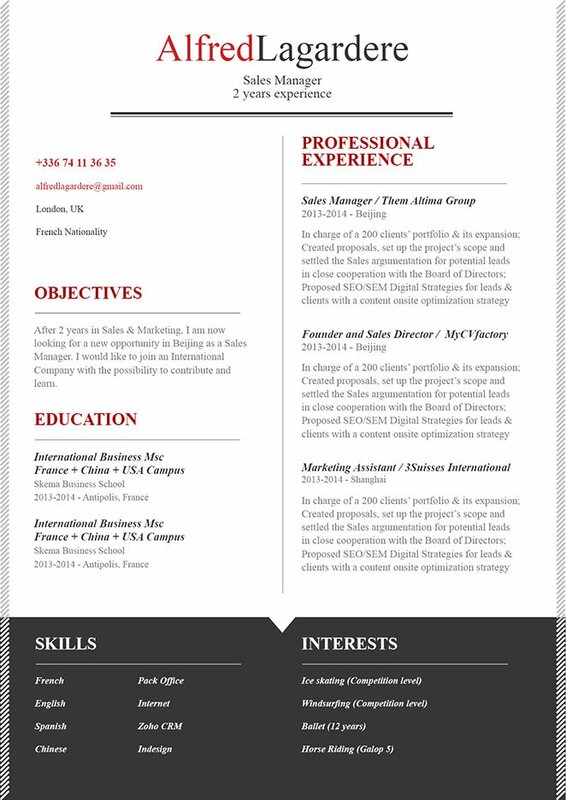 This is one of the best resume template we have and it will surely help you get that job! Making an effective resume template is simple! All you need to do is focus on how you create it's over-all lay out and format. Making your resume's format well-structured and eye-catching can make the difference between you getting that job or not. Use professional looking fonts such has Seriff fonts. Your font size should be between 11-12. Use bold and italics to guide your potential employer's eyes to the pertinent parts of your resume. For the content of your resume, make it short, but dense with information. Write what is most relevant to your potential employer. Focus on skills and strengths from past jobs that are applicable to the job you're applying to. All these tips will ensure you that your resume is perfect and well-received by your future boss.